Known locally as the Tower of David, this skyscraper has been dubbed everything from a den of thieves to the world’s tallest slum. These labels conceal the radical story taking place behind the tower’s walls. This was originally posted on venezuelaanalysis.com. 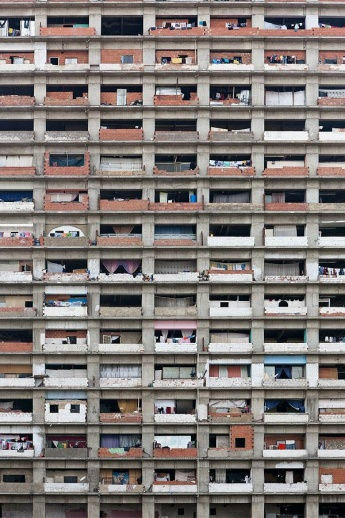 Photo: Occupied apartments at the Tower of David (Via venezuelaanalysis.com).